For Trade Show, Business or School ID. Made of different style of cord for easy to carry. 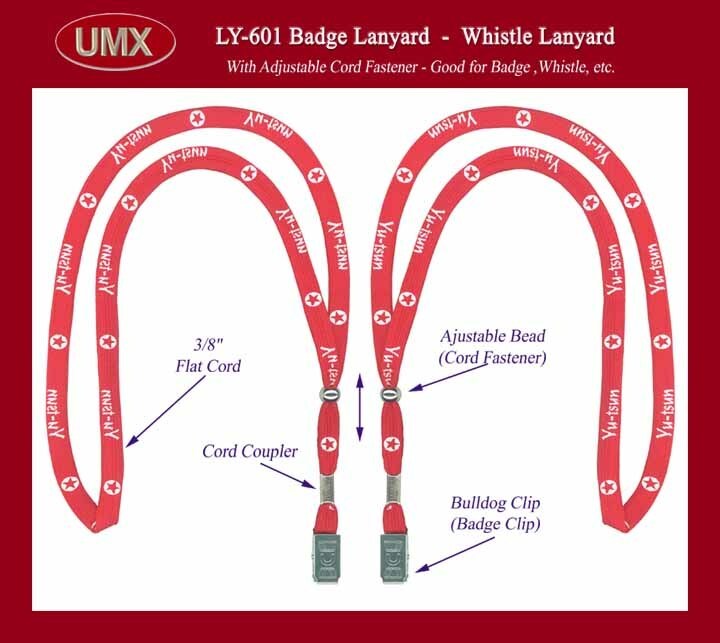 Badge lanyards comes with bull dog clip, flat cord or with optional adjustable bead and silk screen imprinted.